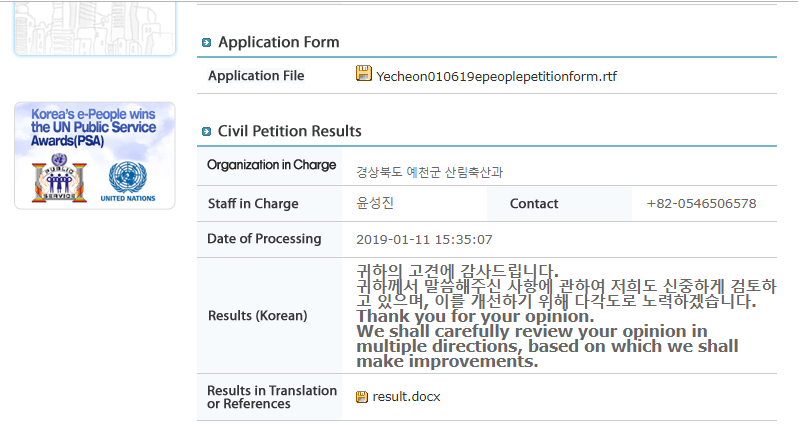 Below is Yecheon’s response to our petition: Yecheon, South Korea, Shut down the illegal dog meat farms, slaughterhouses and markets. This comment doesn’t answer anything…Dog meat farms and slaughterhouses for dogs and cats MUST BE CLOSED…NO MORE CONSUMPTION OF MEAT AND TORTURE OF DOGS AND CATS…THAT IS BARBARIC AND THE WORLD IS WATCHING YOU…DO THE RIGHT THING AND CLOSE THESE PLACES NOW!!! Praticamente non hanno risposto nulla!! Nessun impegno preso per fermare per sempre questa crudeltà assurda!